When I was in elementary school, I had a Lisa Frank folder. Some kids made fun of me for having a “girly” folder and that did upset me, but I was absolutely mesmerized by the colors and design. I sort of channeled that palette and approach for today’s illustration featuring Corsola. Let’s kick off the week with the coral pokermanz! When I first set out to draw Corsola, I thought maybe I could do something more realistic. It would be easy to convert the rocky creature as I envisioned the body to be a base for a lush coral reef. What ended up happening was a very strong first draft that ended up looking more cartoony in nature. I decided to keep it and laid down the first set of colors. I soon realized it’d be better to place Corsola in a garden surrounded my species of coral and started to envision a fun little story to the work as I do tend to wrap myself up in these pieces for quite a while. In my own headcanon, I imagine that Corsola are extremely rare creatures that are born over a long period of time -a series of fortunate coincidences in which coral gain sentience in the most thriving reefs. 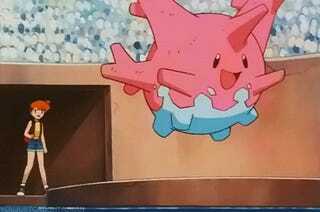 Corsola in this sense are never used in battle and as they are considered way too valuable and are seen as trophies to be kept in private aquariums. As I pushed along with the piece, I balanced a sense of realism with cartoon freedom in delivering a wide range of coral and plant life, picturing this Corsola nearing the end of its gestation period, soon to awaken in it’s womb of colors. The species I selected to surround the creature was chosen without prejudice, as the realistic element of finding the right varieties didn’t so much matter to me but to create an overwhelmingly beautiful piece to present as the series kicks off a new week. This is a work in progress set you’ll definitely want to take a closer look at. Corsola took time to complete but was absolutely worth it. Thank you all for stopping in for the start of the week. I looked at the Dex and the rest of the creatures left to draw all present awesome opportunities for me to come up with some interesting works. 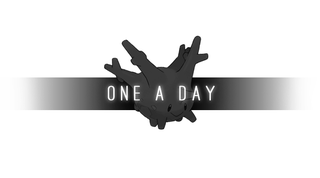 All the lame Pokemon are (mostly) gone! See you in the comments section and see you tomorrow!